What’s it going to take to get to Victory Lane? Tell us about the dog you have here with you. Is restrictor-plate racing like riding a bike for a veteran like you? Would NASCAR clear you to take this dog with you around the track? What’s it been like playing all of the roles you’re playing this weekend? Do you push Todd to win tomorrow or do you help him if the situation presents itself? How many teams is DGR-Crosley going to have next year? What has been the biggest difference between the driver and owner side? 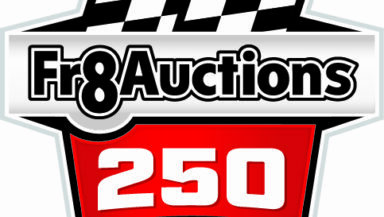 How familiar are you with NASCAR combining all of the touring series and ARCA? If you got the opportunity to run full-time again in NASCAR’s national series, would you? Are you looking forward to your first superspeedway race? Do you expect to race near your Dad for much of the race if possible? Are you concerned about the starting position?